Doug Koenig, regarded as a once in a generation talent, redefines what it takes to be a World Champion Professional Shooter, Athlete and lifelong hunter. Koenig began shooting competitively at the age of 17 winning both regional and national competitions. In 1990, Doug turned Pro as a competitor and the decision paid off scoring an unprecedented 1920x at the NRA Bianchi Cup. His list of accomplishments and championship wins continues and may never be surpassed as he approaches his 28th year of competing, winning more than 70 National and 10 World titles. 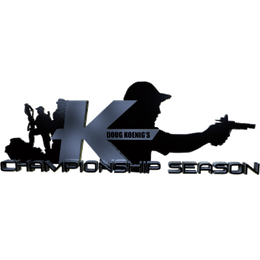 Doug hosts his own TV Show “Doug Koenig’s Championship Season.” Promoting an outdoor lifestyle for families, and sharing his hunting and shooting tips to ensure your day in the field is memorable, are just a few of Doug’s passions.